The POC Octal Aero Raceday is designed to offer the ultimate in aerodynamics to give you a competitive edge on race day, where every second counts, but without compromising on safety features. With the POC Octal Aero you'll still get the very best head protection available. The POC engineers have achieved this via more coverage and additional protection of the temples and back of the head. Safety is further maximised due to the EPS liner being strategically thicker in most exposed areas and is covered by the outer PC shell. The unique and fully wrapping unibody shell construction functions as a monocoque and enhances the safety properties and construction integrity of the helmet. The result is a helmet that offers excellent protection but at the same time maintains an incredibly low weight. 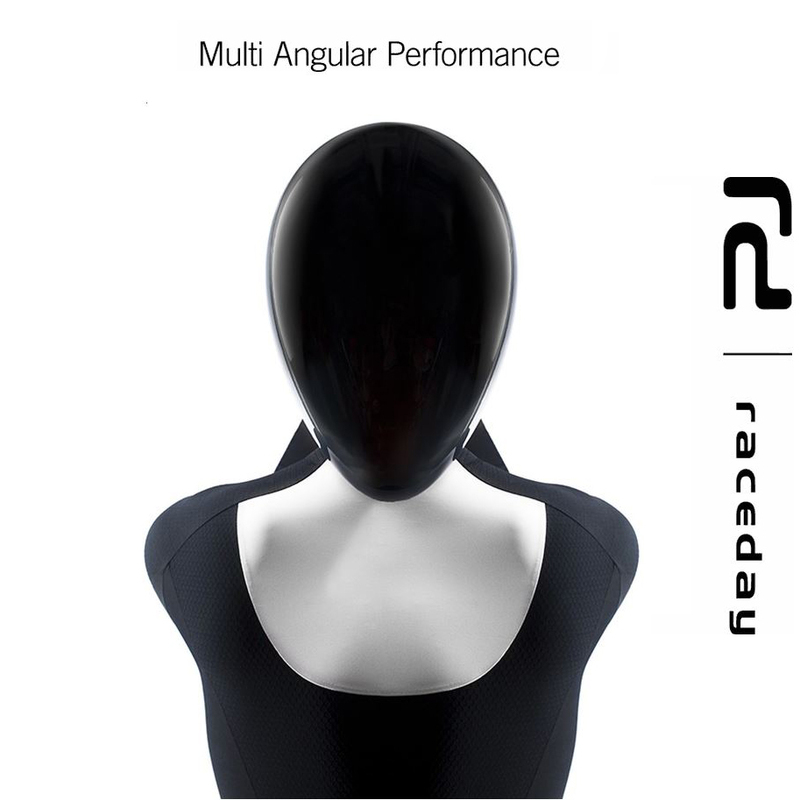 It's also designed to compliment the Raceday clothing line to offer the ultimate in drag reduction kit. In order to dial in your fit perfectly POC use an ultralight size adjustment system that ensures a comfortable feel and secure fit. To maintain a comfortable temperature the use of internal Coolbest padding helps reduce the temperature in the interface between the helmet and your head. Following the AVIP concept, which promotes safety for road cyclists, POC now introduces Raceday. Raceday is built on the experiences of the AVIP range and has been further developed to optimise and enhance performance when racing, to give competitive cyclists the most optimal equipment in their quest to win. Raceday is built on the competence of POC’s product development team and developed in close collaboration with Garmin-Sharp Pro Cycling Team, Volvo Car Group and the aerodynamic specialists in WATTS Lab. WATTS Lab is POC’s highly specialised department, whose objective is to optimise performance and aerodynamics of POC products. Casco da strada POC Octal Aero Raceday (2016) valutazione 1.0 di 5 di 1. Rated 1 di 5 di anil63 da CASCO poc aero octal Pessimo acquisto, non lo consiglio, non vale i soldi spesi.